Araw Awards | This used to be my second life as a verb. Tomorrow I get to introduce Neil. 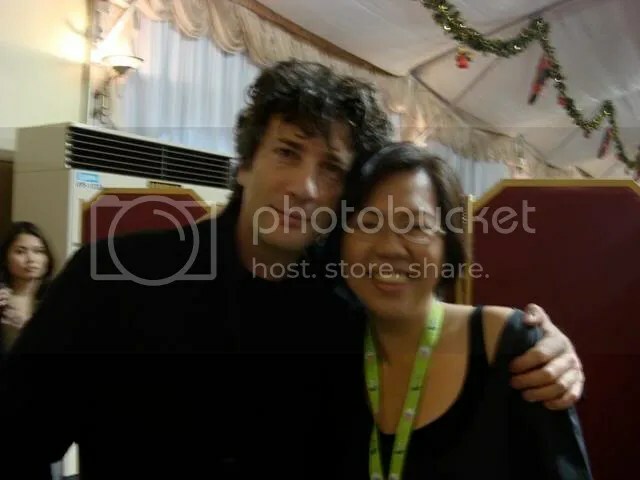 Neil Gaiman talks of myth, reads an excerpt from The Graveyard and signs one hundred books tomorrow at El Centro in Subic. Fully Booked’s stall has been besieged by new fans, and the salesclerks are harassed but cheerful. I am introducing him, and moderating the discussion after his talk. The gods grant I do not melt into a simpering fool, or stumble in my wedges. His stories have been such a lodestone for me, all these years; the idea of meeting him in person seems way too unreal. Wifi, dammit. I am in a hotel with no wifi, broadband, not even a 2 baud modem.